Posted on Sunday, October 3rd, 2010 at 10:39 pm. 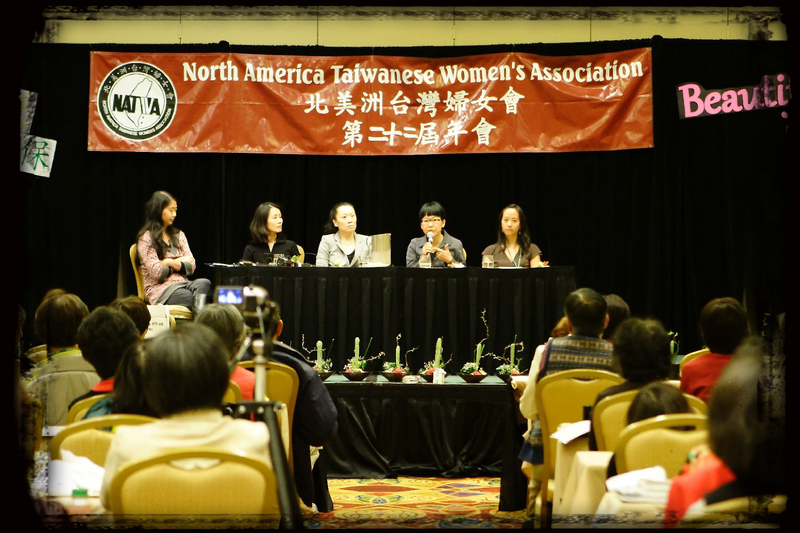 Founded in 1988, the North American Taiwanese Women’s Association (NATWA) originally served the 1st generation “moms” of our community. Over the subsequent decades, this progressive and forward-thinking non-profit organization grew to more than 1,000 members in America and Canada with fourteen local chapters. Now, with the emergence of the 2nd generation, a core group of visionary leaders has created a young professional arm called NATWA II. The purpose of NATWA II is three-fold: (1) to establish a network consisted of 1.5- and 2nd-generation Taiwanese American and Canadian women; (2) to cultivate and promote talents among young Taiwanese American and Canadian women; and (3) to preserve Taiwanese culture and promote Taiwanese American and Canadian identity. Each year, NATWA II selects an intern to help carry out its mission. During the 2009-2010 year, Ms. Tinna Chung of Los Angeles, CA served in this capacity. For 2010-2011, Ms. Hanna Huang of Austin, TX will be continuing in this role. 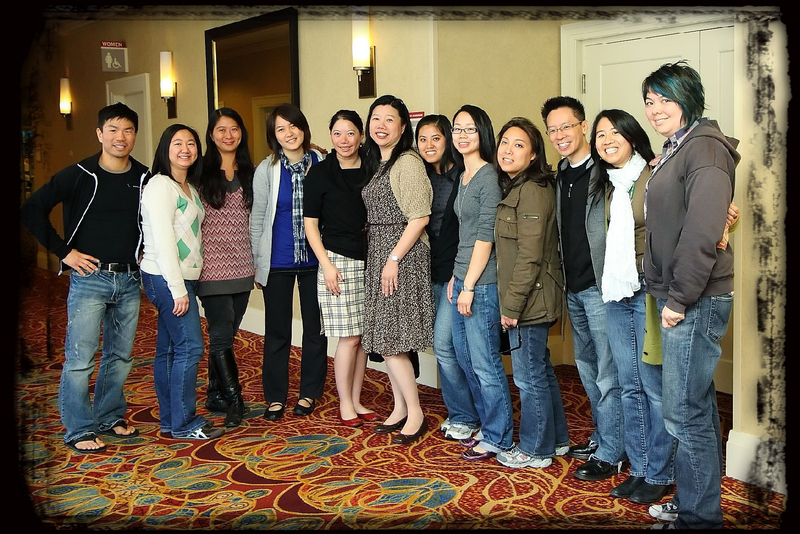 TaiwaneseAmerican.org is pleased to present this introspective “letter” that Tinna wrote on our suggestion to help give insight to the magic that takes place when the sisterhood of Taiwanese America comes together. First of all, welcome to NATWA II! I’m very happy that you’re joining us as our intern. I’m sure you’re excited to contribute and help represent this association with the best of your talents. Regrettably I can’t be there physically to tell you of my experiences with NATWA II, but I hope this letter can help convey the amazing journey and great friendships I’ve accumulated in the very short year I was an intern. As you get acquainted with everyone, you’ll soon learn that you are among amazing ladies from all walks of life. Don’t waste any time to get to know these girls! I’ve found that although we share Taiwanese bloodlines, each person has a uniquely different take on our culture. I loved hearing stories of different upbringings and perspectives on how to live healthily. My first NATWA II event was a cooking session on making bah-tzangs. How cool is that? Growing up in America, my parents were busy working long hours to support the family and never learned nor attempted to make bah-tzangs. My grandparents were living in Taiwan and I rarely had the opportunity to visit them. Thus the opportunity to watch and learn how to make this very Taiwanese dish was fresh and exciting to me. 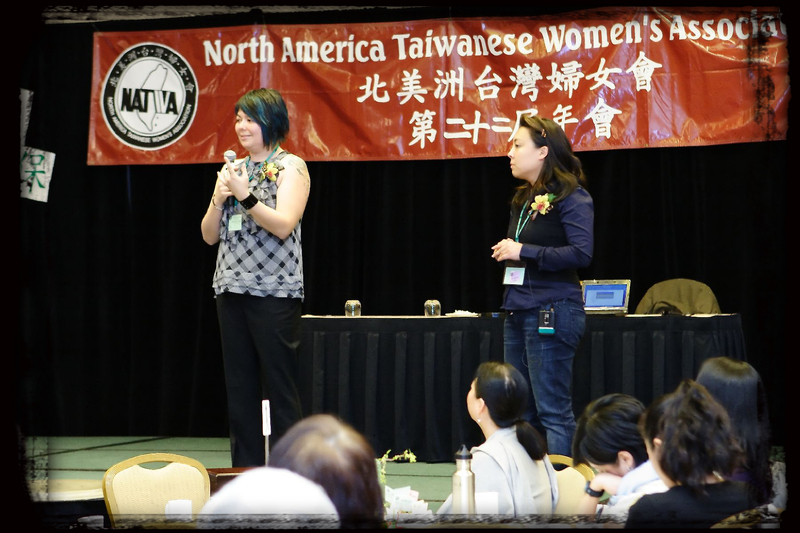 This was my first experience involving NATWA II and already I sensed how important it was to keep up with these events so Taiwanese women could have a great venue to gather together and learn about different aspects of the Taiwanese culture they may have missed out on living in America. My most unforgettable moments were during the annual NATWA conference in Toronto, Canada. NATWA II had its own set of programs to represent ourselves to the NATWA ladies. The mixing of first generation, second generation and even some super adorable third generations was a remarkable experience. I had so many fun and thought provoking conversations with awesome individuals! What really blew my mind was how there are truly a lot of issues and concerns mainly between the first and second generations but the NATWA conference created a safe, nurturing environment for each person to discuss their concerns or issues and this seems to really help us all understand one another better and open up communication in ways that I haven’t encountered before. Women of all ages stood up and spoke bravely; some spoke with strong voices, some even broke down and showed us all a more vulnerable side. No matter how they chose to express themselves, you can feel the intensity as if we were all connected by power lines. I was also especially proud that NATWA II had so many amazing girls representing us in hosting workshops and being keynote speaker! 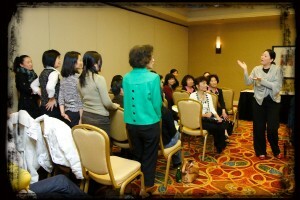 I attended each workshop and session with childlike admiration. Before joining NATWA II I’ve never in my life heard any 2nd generation Taiwanese-American speak at a large session fully in Taiwanese. And at the conference, there were many of them! Our keynote speaker was Monique Lee Hawthorne, a lawyer with a heart of gold. Her speech on the slow food movement was delivered in such a way that both first and second generation women were able to relate and expand on this concept. I thought her use of anecdotes from her own experiences involving her parents was brilliant. It was a great way to illustrate how both generations’ way of thinking each have their own advantages and faults. Rather than focusing on each other faults, it is more important to focus on the common goal: the best way you can contribute in protecting our planet so we can all lead healthy lives. There was also a discussion led by Dr. Michi Fu, a very insightful doctor who seems to know you better than you know yourself. Her discussion on the simplicities and complexities of communication garnered the respect of everyone who attended. The whole room was silent, attentively listening for her words of wisdom as she described different scenarios of misinterpretation and solutions on how to avoid them. I found myself nodding my head along with the whole room as we all realized how certain statements and actions have dual meaning and when looked at from a different point of view, can be misinterpreted and snowball into an ugly cycle. Michi also encouraged the room to speak with their own experiences and gracefully suggested solutions on how to communicate and be aware of timing and delivery of what you say. Her leadership of the workshop really helped us all think a little more outside of ourselves and view new perspectives some of us had not realized before. Then Jennifer Kuo and Stephanie Yang expanded on generational communication as they also led a discussion title, “Can We Talk?” Their presentation was awesome! Jam packed with fun games, they had everyone laughing and laughing some more. Both generations literally went wild and ran around hugging each other and sticking stickers all over each other. I loved it! I could wax on and on about how great the workshops were but I’m sure you will see once you attend them yourself. I also want to tell you about the great stuff that went on in between. Among the amazing speakers, you will also meet a bunch of great girls from all over the North America who are eager to create connections and share on their own thoughts. 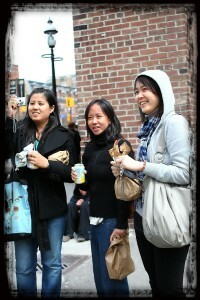 I became fast friends with several ladies who live in Toronto and found that they all wanted to keep connected, but often have trouble holding events. This spoke volumes to me and makes me really want to encourage ladies of NATWA II in different areas to try to host local events. So I was thrilled to hear that efforts are now being made in Toronto to gather Taiwanese-Canadian women to foster new friendships and connections. It still amazes me to this day that although the NATWA annual conference is only once a year, the friends I made feel like old friendships and I truly hope to keep up in touch with everyone for a long long time. I’m excited for you to experience your own journey as a NATWA II intern. 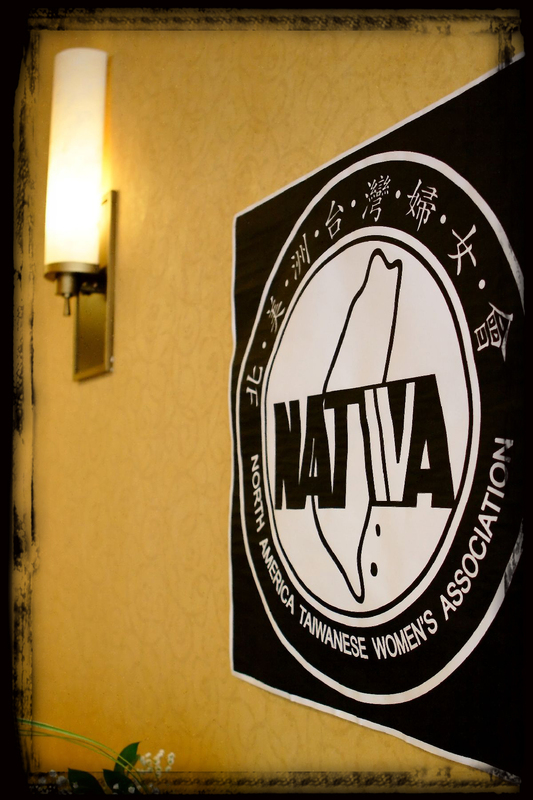 I can’t wait to hear your stories and adventures as you pave your own way and help further develop NATWA II in becoming a strong presence in the Taiwanese community! Photos courtesy of Mr. Shu-jon Mao, honorary member/official photographer for NATWA II.